The British Royal family is on a trip to Canada this week, and as usual, Duchess Kate Middleton’s fashion is making us totally obsessed. 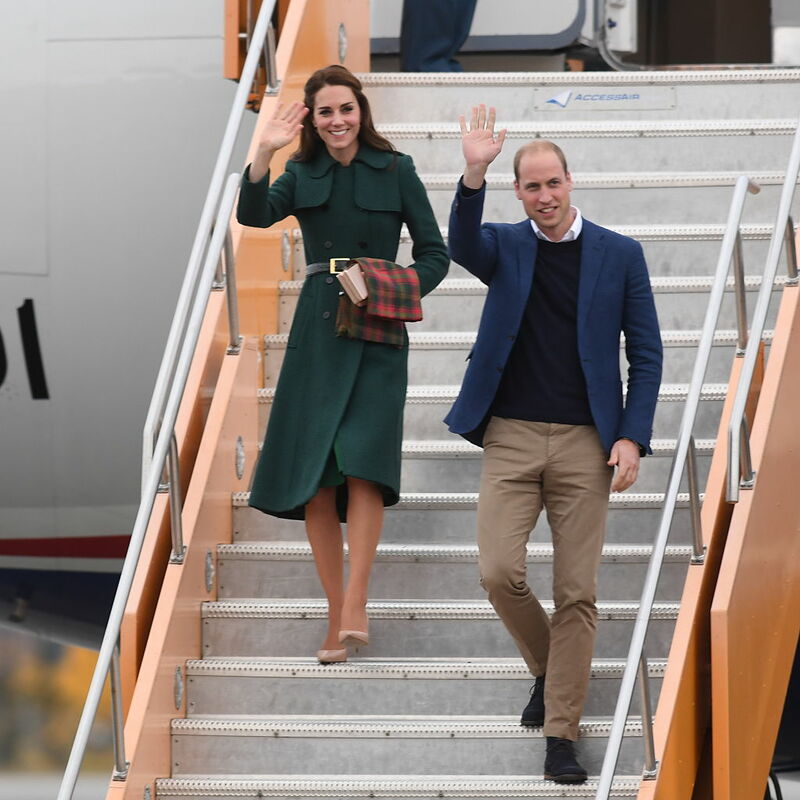 She and Prince William visited Yukon in Canada, where it looks like it was pretty chilly. 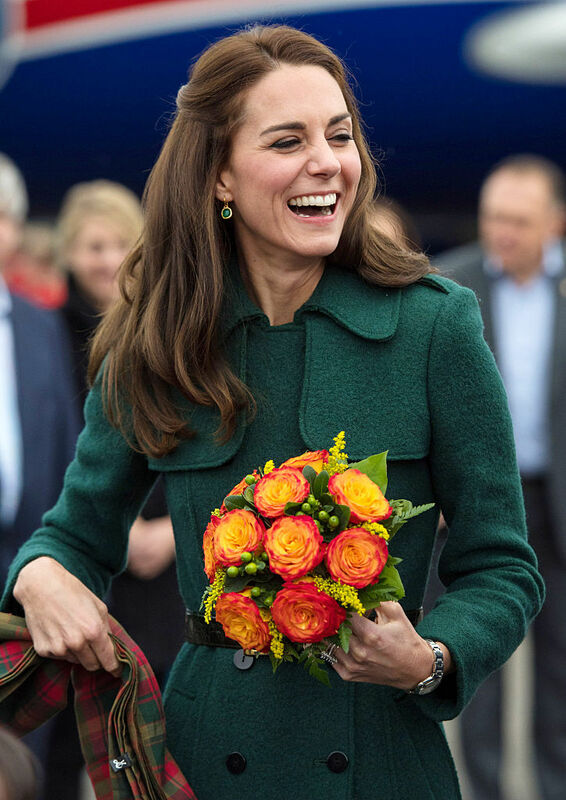 But the Duchess of Cambridge kept herself warm in a fabulous green coat with military-inspired detailed. Kate Middleton rocked this fabulous trench coat, and we totally want it. The square shoulders, flaps on the chest, and double-breasted front gives this jacket a cool, military vibe. And we love the forest green color. Kate pairs the coat with a simple, black belt to give it a modern, casual look. And in this closer shot, we can really appreciate the dimension of the neckline. As is her style, Kate recycled this coat from her St. Patrick’s Day outfit two years ago. While the green hat and greenery pinned to the coat is straight up St. Patrick’s Day, the coat without all the added green is perfect as an everyday piece. It’s so unusual for someone so prominent to re-wear clothes like Kate does, but we think it’s a great idea. 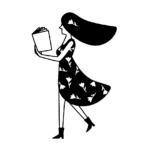 With so many great clothes, it’s a shame to only wear them once! Kate looked so fabulous in this statement coat, and she also looks like she feels fabulous in it.